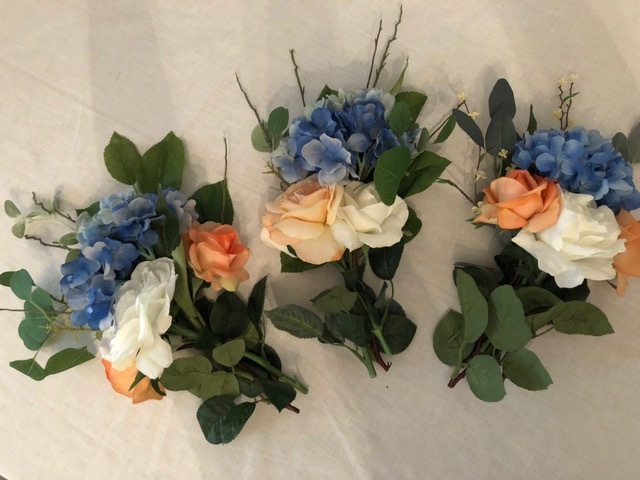 28 bouquets include a mix of blue hydrangea, white and peach roses with greenery. They were made to for the reception to sit/lay atop a few books with candles around. Would also make perfect bridesmaid bouquets, or can easily be placed into vases. High quality silk flowers from Hobby Lobby (includes SKU: 142851 and SKU: 586446).